There's something very romantic about the lives of Indiana Jones and Nathan Drake. The two trot the globe in search of history's most coveted treasures, constantly court danger and discover ancient secrets. And they get the girl. All in a day's work. But they also have the resources to do so at their leisure. People like us, glued to the Internet, merely have Google Earth — and that's not such a bad thing. 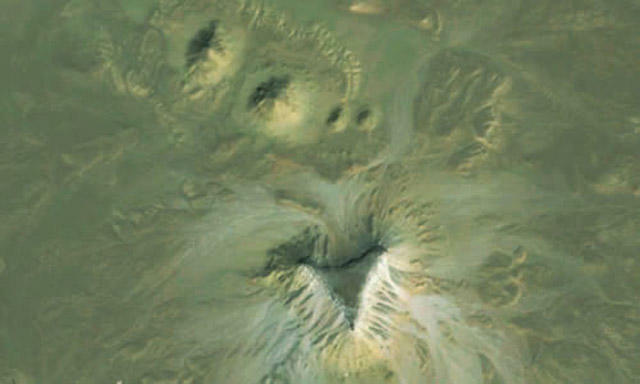 Angela Micol, a satellite archaeology researcher, may have found previously undiscovered pyramids in Egypt using Google Earth. Google Earth! The free software that's available on desktops and mobile devices everywhere. I'm lame and only spend time looking at my house. Egyptologist and pyramid expert Nabil Selim said they are indeed the real thing. The pyramids apparently resemble the arrangement of the pyramids at Giza, which are among the most famous of Egypt's landmarks. Micol's discovery actually isn't that unprecedented. According to Gizmodo, Sarak Parcak, an Egyptologist and UAB professor, found 17 pyramids, 3,100 ancient settlements and more than 1,000 tombs with the help of infrared satellite images. I think I may have discovered something just now… No, that's just my house again.